MixTree is a non-profit stichting, founded in 2014. We chose our name in order to represent the varied melting pot we are and the scenery we operate. In fact, MixTree’s purpose is to create a place where artists and people from different backgrounds and cultures can freely mingle, gather, interact and explore new paths. We do so by organising and promoting events, ideas, and especially souls that contribute to make of Amsterdam the unique centre of creation in the world that it is. In the last three years we have hosted different venues, a language school (www.mixtreelang.nl), meet-ups and exhibitions in Overtoom 301 and nowadays we are continuing and expanding our activities in our new and humongous location inside the concrete jungle at Broedplaats Lely, where we aim to give place to even more music, theatre, performance, cabaret, filmprojections, exhibitions, our language school, talks, private events and for the very first time a cantina and catering supporting the Broedplaats Lely. 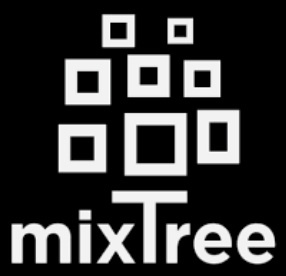 Keep up to date with Mixtree by checking out their FB page or see their website.